When you apply for a new mortgage loan, you'll go through a series of important people who work for or with the bank. You'll likely get a call from a loan originator or broker to initiate the loan. An underwriter reviews your case to determine if you're eligible for the loan. Another key person who works behind the scenes, and who may contact your personally, is the mortgage processor. This person is the link between the loan officer, the underwriter and you, the applicant. The loan processor speaks directly to the borrower or to the loan originator, who is the salesperson who first contacted the borrower, to fill out the initial mortgage application form. 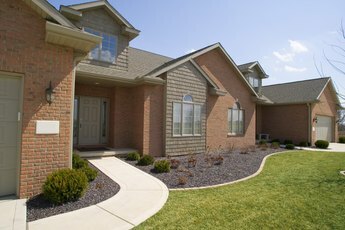 This form, titled the "Uniform Residential Loan Application Form 1003," requests basic information about the borrower and the property as well as detailed questions about the borrower's income, assets and liabilities. Once this form is filled, the processor sends it to the borrower for his signature. The processor must then provide the borrower with a good faith estimate, or GFE, listing all of the estimated terms of the proposed loan as well as fees that the borrower has to pay at closing. The mortgage processor also must gather important documentation from the borrower in order to continue with the loan. That includes pay stubs, W-2s, past tax returns, bank statements and lists of assets. The borrower must also provide proof of all other sources of income, like retirement or rental income, as well to support her income statements on the loan. Additionally, the processor needs to receive proof that the borrower has secured homeowner's insurance to proceed with the loan. In essence, the processor is the one who pulls all the documentation together to allow your loan to smoothly go through the process. Another important duty of the mortgage processor is to contact important service professionals needed to close mortgage loans. One such professional is an appraiser, who verifies the value of the home. The processor requires the borrower to contact the appraiser to schedule a convenient date and time for the home appraisal. The processor must also order a title search through a title company in the area, which verifies that the house deed is free of liens that could hold up the process. Once the loan processor finishes gathering paperwork from the potential borrower and ordering required professionals for the transaction, he must then submit everything to an underwriter. The underwriter is the final word on whether the borrower gets the loan or not. If there's an issue with any of the paperwork or information listed, the underwriter informs the processor, who then communicates with the borrower to resolve the issue. Keep in mind that in some cases the processor communicates all needs to the originator rather than speaking directly to the borrower. Once the loan goes through this final approval process successfully, the processor can schedule a closing date with the borrower. 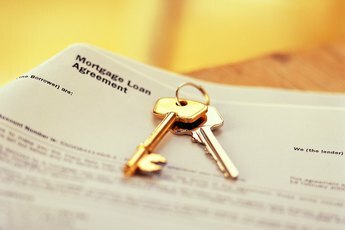 The National Association of Mortgage Processors says the loan processor is the one who makes sure all the proper documentation is turned in, and turned in on time. It may be an administrative role, but it's an important one. For example, if you need flood insurance, the mortgage processor will make sure you have that. Some mortgage processors stay behind the scenes, while you deal with the loan officer, while other lenders encourage direct contact. Remember, the processor salary comes from the bank or lending institution, not from you, but most processors want to do their job well and be seen as expert administrators. The Mortgage Reports: My Mortgage is in 'Processing.' What Does a Mortgage Loan Processor Do?